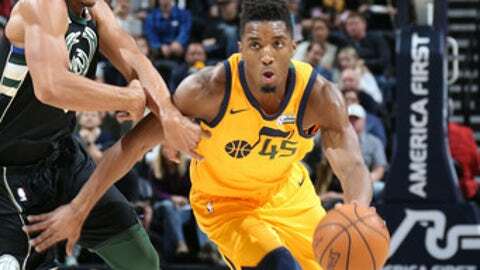 SALT LAKE CITY (AP) When rookie Donovan Mitchell spun by Giannis Antetokounmpo and made a layup in the fourth quarter, he felt like he was walking on air. ”When I made that move on him, I started smirking just because he’s an All-Star and it’s cool to make that sort of play on a guy like that,” Mitchell said. When Antetokounmpo was announced in the starting lineup after he was questionable with a sore knee, Mitchell lit up because of the respect he has for the ”Greek Freak”. ”I was watching him when I was in college. He’s been dominating and it’s really impressive what he’s been doing,” Mitchell said.